With the three engineering priorities “Intelligent Drive”, “Efficient Technology” and “Essence of Luxury”, the new S-Class extends the boundaries of technology on many levels. The S-Class is not just a technological spearhead for Mercedes-Benz but for automotive development as a whole. Perfection to the last detail results in “The Essence of Luxury”. This pursuit of the best is particularly noticeable in the interior: whether it is the seats or the air conditioning, the controls or the design, the infotainment or the comfort and safety – new ideas, their painstaking realization, and highest perceived quality underpin the high standards that the engineers have set for the Mercedes-Benz flagship model – and for themselves. People all over the world can recognize a Mercedes-Benz straight away. The classic Mercedes face runs like a golden thread through the brand’s history. 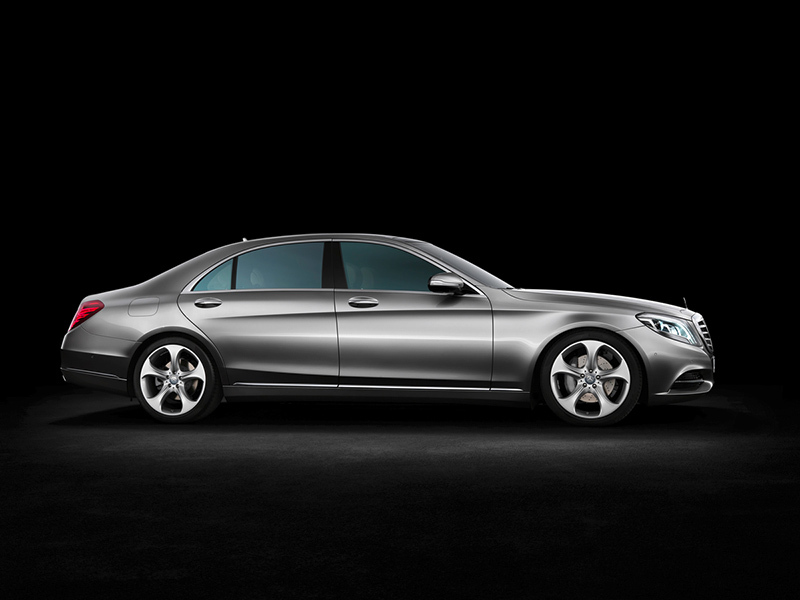 “The sophisticated design of the S-Class has always been an expression of luxury and automotive grandeur of its era. And our new S-Class continues this tradition. With its classic architecture and flowing silhouette, it is a modern embodiment of sensual clarity. The design draws a line from the sophisticated, progressive design idiom to the classic elegance of our 1930s cars – intelligence that speaks to the emotions. 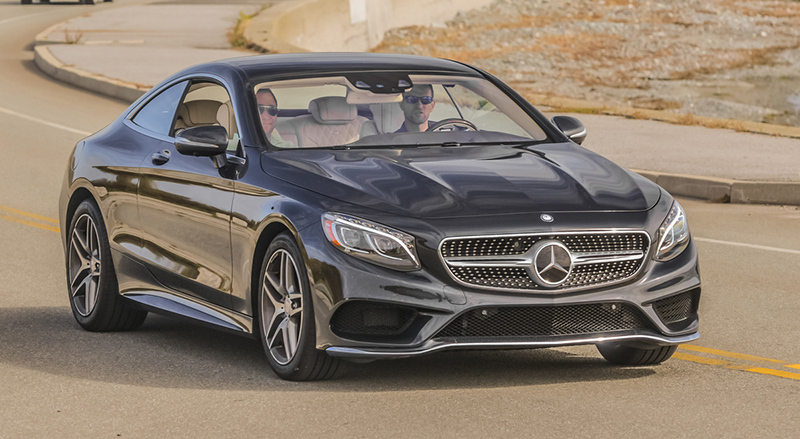 Stylish sportiness and sensual forms in synthesis with timeless clarity and effortless superiority make the S-Class a true design icon,” says design chief Gorden Wagener. To underline the effortless superiority of the new S-Class, and its ambition to lead, the radiator grille is now larger, upright and distinctly three-dimensional in design. With its long hood, the flowing, domed roof line and the gently slanting rear end, the new S-Class has classic sedan proportions. The size and space have been fashioned in such a way that the S-Class appears prestigious, and the powerful roof line is also in keeping with the car’s sporty coupé-style intentions. A character line descending discreetly from front to rear – the brand’s hallmark “Dropping Line” – elegantly structures the side wall and generates additional dynamism even when the car is at a standstill. The subtly created convex- concave effect of the entire flank gives rise to an extremely powerful and elongated car body that demonstrates both excitement and calm. The pronounced shoulder above the rear wheel adds further emphasis to the car’s athletic character. The positively exaggerated surfaces and lines of the side wall on the new S-Class generate excitement as they flow into the rear end. As well as being elegant, the slightly slanting form has aerodynamic advantages. Horizontal lines running from the trunk lid to the bumper emphasize the car’s width when viewed from the rear. The hallmark signature of the Mercedes-Benz designers can also be seen in the rear windscreen, which cuts into the C-pillars. The upper area of the glass is rounded, lending it a coupé-like character. The real highlights are the new-style tail lights which are completely encased by the car body and, thanks to this solitarily integrated styling and meticulously crafted inner workings, complete the design right down to the last detail. Visibility is enhanced by two assistance systems that have undergone some key improvements – Adaptive Highbeam Assist and Night View Assist PLUS. Thanks to a new stereo camera and multistage radar sensors, the S-Class has 360-degree all-round vision and detects potential dangers on the road better. 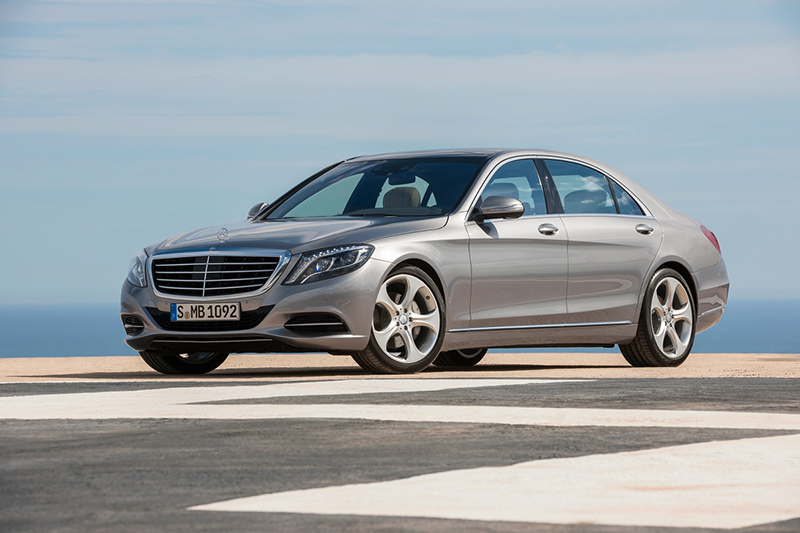 The new S-Class is the world’s first car to be able to detect bumps on the road ahead. If ROAD SURFACE SCAN detects such unevenness by means of the stereo camera, MAGIC BODY CONTROL instantaneously sets up the suspension to deal with the new situation. This innovative suspension system is optionally available, and standard equipment for the new S-Class includes the continuously operating Adaptive Damping System ADS PLUS and an enhanced version of the full air suspension system AIRMATIC. With its clear architecture, the interior design of the S-Class embodies a classic, superior, cutting-edge saloon. The interior’s expressive character derives from a uniquely fluid, sensuously elegant style. Horizontal elements and lines create a setting characterized by visual breadth and calm solidity. High quality and elegance harmonize with clarity and functionality: the interior design of the S- Class combines ride comfort, spaciousness and user-friendliness to the very highest standard. Passengers in the rear are also seated in first-class – the design and exclusivity of the seats, door panels and all controls are to the same, high standard as the front. As an additional individualization feature, there are rear seat packages available which incorporate a Business center console combining personal comfort with practical convenience (additional storage compartments, folding table, two-place seating in the rear, etc.). Two high-resolution TFT color displays in 8:3 format with a screen diagonal of 12.3 inches form the new information center in the S-Class. The left-hand display performs the functions of the previous instrument cluster, providing the driver with all relevant information. The right-hand display allows the convenient control of infotainment and comfort functions. For the new S-Class, the constantly increasing need to integrate additional functions into the vehicle led to a further development of the entire operating logic. Here ergonomics, operating convenience and safety along with attractiveness and aesthetics were the main considerations. The aim in designing the control and display features was to group controls and display functions together in a coherent manner in terms of both design and functionality. Apart from the new displays, the metallized switch surfaces and solid aluminium controls are visual highlights of particularly high quality. Thanks to the fine structuring on the metal surfaces, each individual control has the sound, feel and attention to detail that makes a Mercedes-Benz so special. The new control features include a touch-sensitive telephone keypad and an extended favorites function with twelve freely selectable memory places. The principal control element is the rotary pushbutton, with the usual direct access keys in the center console for the most important functions and a toolbar for the driving assistance systems. Voice entry with the Enhanced Voice Control System allows complete addresses to be spoken in one go, for example (one-shot input). The telephone and audio systems can also be voice-controlled. The option of having text messages (SMS) or emails read out is a new feature. During the systematic further development of the entire climate control system, a particular focus was placed on the development goals of performance, air quality, precise regulation, noise level and efficiency. As a new feature, the AIR- BALANCE package comprises perfume atomization, ionization and even more efficient filtration compared with the standard model. The automatic climate control in the rear has two additional zones to improve thermal comfort. Electric heating of the armrests and center consoles is a completely new feature. 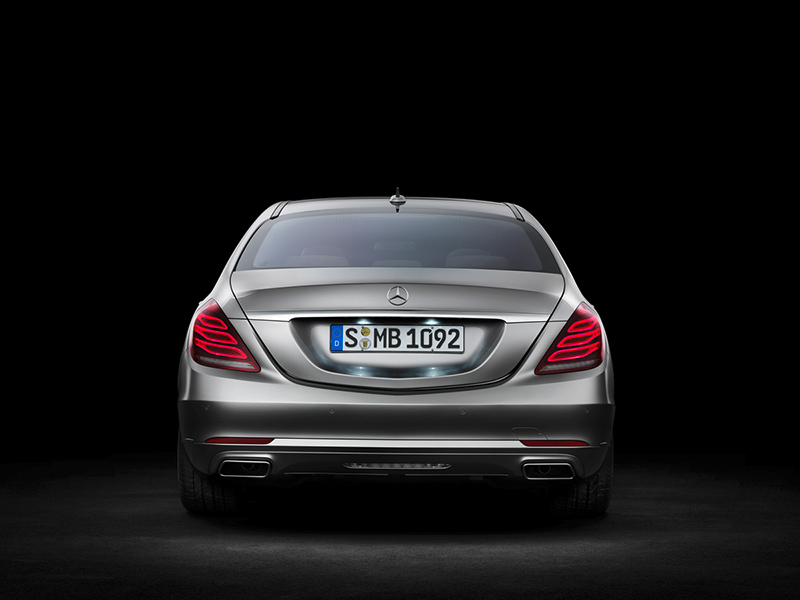 As a world first, the new S-Class Sedan has an “active perfuming system” as part of the AIR-BALANCE package. ‘Active’ means that the perfuming system is switched on and off manually, with manual adjustment of the intensity. The perfume atomization system individualizes the smell of the vehicle interior. It neither changes the interior smell permanently, nor are perfume molecules deposited on fabric surfaces or clothing. The fragrance is discreet and mild, and dissipates rapidly. With numerous world firsts such as the ENERGIZING massage function based on the hot-stone principle or active seat ventilation with reversing fans, Mercedes-Benz has raised seating and climatic comfort in the S-Class to a new level. The seat developers have paid particular attention to the rear seats. There is a choice of four different rear seat variants including an Executive seat with a backrest angle adjustable by up to 43.5 degrees, allowing occupants in the rear to concentrate on work or relax in comfort. The ENERGIZING massage function on the hot-stone principle is a world first. The seat specialists at Mercedes-Benz have developed a unique massage function with 14 separately actuated air cushions in the backrest, as well as an integrated warming function. There is a choice of six massage programs, two of them using the warming function. The function is also available for the rear seats. Four seat variants are available for the S-Class. The adjustment kinematics have been changed in the luxury and reclining seat variants. Unlike the conventional trailing backrest design, the backrest is adjusted separately so that the legroom and seat reference point remain unchanged. The cushion can be separately adjusted for angle and horizontal position. The maximum backrest angle of the Executive Rear Seat Package (reclining seat) behind the front passenger seat is increased from 37 to 43.5 degrees, giving it the largest backrest inclination in the luxury segment. The reclining seat features a calf support which is freely adjustable for length and angle. In combination with the heel rest on the folding chauffeur seat at the front and an additional comfort cushion, this allows a reclined position that sets new standards in the automotive sector with respect to sleeping and resting comfort. If Executive Rear Seat Package PLUS is selected (with rear center console), the front console on the transmission tunnel is visually continued to the rear. It is equipped with innovative thermo-cup holders which use Peltier technology to cool or warm drinks over a longer period of time. Like an aircraft seat, the center console is equipped with two tables which can be easily folded in or out using one hand. A completely new multimedia generation with intuitive operation and particularly tangible functions thanks to visualization and animations celebrates its debut in the S-Class. Other innovations include the multi-user system, which allows independent access to the media sources of the entertainment system from any seat. The innovative Frontbass system developed by Mercedes-Benz-and used for the first time in a sedan car is a feature common to all the audio systems: the woofers are housed in the firewall, and use the almost 40-liter space in the cross- member and side member as a resonance chamber. Conventional woofers in the doors are therefore unnecessary. The mid-range speakers in the doors are relocated upwards. This improves the soundscape and allows additional stowage space in the doors. Two very high-quality audio systems are available which were developed together with the high-end audio specialist Burmester: the Burmester® Surround Sound system and the Burmester® High-End 3D-Surround Sound system. The interactive presentation of content is a prominent new feature of the navigation function. The new navitainment functions include an animated compass, the “Driveshow” for passenger information as in an aircraft, and the display of Google Maps on the head unit and in the rear. Information on the traffic situation is shown with hatched lines (rather than with vehicle silhouettes as before). Avoid accidents and mitigate their consequences – this is the integrated approach adopted by Mercedes-Benz Accident Research under the heading “Real Life Safety”. Mercedes-Benz is systematically pursuing this strategy in the S- Class with numerous new assistance systems and greatly enhanced functions. Comfort and safety are enhanced at the same time. Mercedes-Benz calls this “Intelligent Drive”. The new functions all rely on the same sensor system, comprising a new stereo camera together with multistage radar sensors. A key factor is the networking of all systems, which safety experts call “sensor fusion”. The aim is to ensure comprehensive protection, not just for the occupants of a Mercedes-Benz, but for all other road users, too. DISTRONIC PLUS with Steering Assist provides steering input to help keep the vehicle centered in the lane. Adaptive Highbeam Assist allows the high-beam headlamps to be kept on permanently without dazzling traffic by masking out other vehicles in the beams’ cone of light. ATTENTION ASSIST creates a profile within the first 20 minutes of a drive, and can warn of inattentiveness and drowsiness in an extended speed range. It also can notify the driver of their current state of fatigue and the driving time since the last break, offers an adjustable sensitivity setting and, if a warning is emitted, indicates nearby service areas in the COMAND navigation system. The PRE-SAFE® Brake can also detect pedestrians and initiate autonomous braking to avoid a collision at speeds up to 31 mph. PRE-SAFE® PLUS can recognize an imminent rear-end collision. If the danger of a collision persists, the system can also firmly apply the stationary vehicle’s brakes and thus minimize the risk of whiplash injuries by reducing the forward jolt caused by the impact. This additionally can reduce the risk of secondary accidents. Immediately before impact, the PRE-SAFE® anticipatory occupant protection measures, especially the reversible belt tensioners, are deployed. With PRE-SAFE® Impulse, this feature will release the occupants’ seat belts in a controlled manner to reduce the amount of pressure on the body. This can substantially reduce the risk and severity of injuries in a frontal collision. Mercedes-Benz has extended the safety system for rear seat passengers further with the seat belt buckle extender, the beltbag and the cushionbag. The first two of these developments are included in the “Rear Seat Package”. With the illuminated seat belt buckle extender, an electric motor extends and retracts the belt buckle automatically. In this way, any belt slack in the area of the pelvis and thorax can be reduced so that passengers are secured more firmly in both the sideways and the lengthways direction. The beltbag is an inflatable seat-belt strap that is able to reduce the risk of injury to passengers in the rear in a head-on collision by lessening the strain placed on the ribcage. The Executive Rear Seat Package and Executive Rear Seat Pacakge PLUS are equipped with a cushionbag under the seat cushion upholstery as standard. When the seat is reclined, it prevents the occupant from sliding beneath the seat belt (so-called “submarining”) in an accident. This has enabled Mercedes-Benz to design a comfortable reclining seat which provides a higher level of accident safety than a seat with a trailing backrest. MAGIC BODY CONTROL: Uses stereo camera to perform road surface scan, adjustment of damping of suspension automatically and to individual or multiple wheels at once. Chassis is adjusted within fraction of a second for the best driving comfort. 0-60 mph 4.8 sec. 4.8 sec. 4.5 sec. 5.0 sec. 3.9 sec. 4.2 sec.